Openherd: Big Timber Alpacas - Alpaca product and service supplier located in Sherwood, OR owned by Susan King. Stay tuned for the 2019 opening of our Big Timber Alpaca Store. We are excited for the opportunity to share our amazing alpaca products with you. 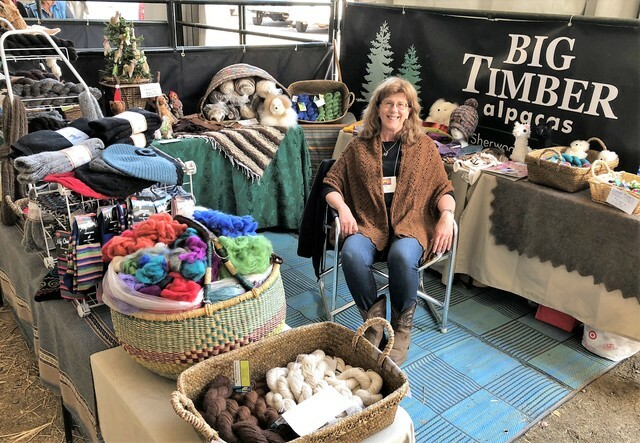 Big Timber Alpacas specializes in Made in Oregon alpaca yarns, roving and raw fleeces. Soft, natural suri and huacaya fiber that is quality tested to ensure a highly desirable product. Our alpacas are home raised using sustainable farming methods that are environmentally friendly. Each animal is hand selected for its superior fiber traits that translate into amazingly soft and warm end products, such as scarves, gloves, hats, socks, blankets and rugs.